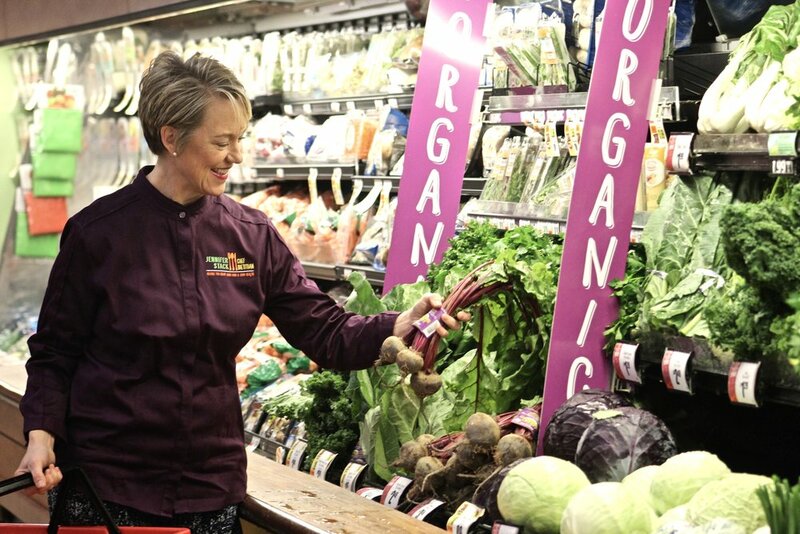 I had a chance to sit down with Jennifer Stack this week, diabetes educator, registered dietitian, Culinary Institute professor, and author of 'The Diabetes-Friendly Kitchen.' 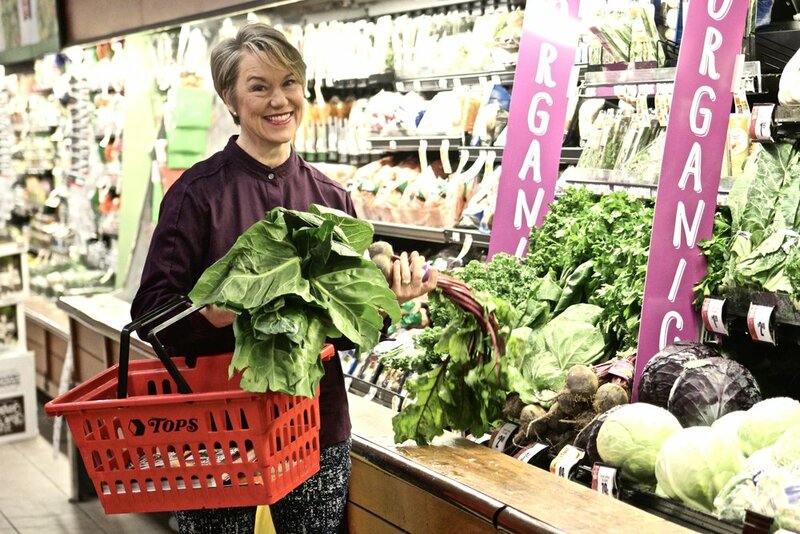 With over twenty years dedicated to coaching people with diabetes and extensive culinary schooling under her belt, Jennifer's new book unearths the secrets to enjoying good food while reaping the benefits of good health. All 125 healthy, flavorful recipes in the 'Diabetes-Friendly Kitchen' have been taste-tested and approved by the Culinary Institute of America, and they may just be the answer to keeping that diet-friendly new year's resolution. Concerns about giving up favorite foods and feeling deprived often lead to delays in taking action. In Jennifer's line of work, she explains that clients looking to improve their weight and health often view the necessary lifestyle adjustments as a major hurdle and put off getting started. As an alternative, Jennifer suggests setting small, reachable goals that can be maintained and built upon to greatly impact overall health and wellness for the future. When developing the 'Diabetes Friendly Kitchen,' Jennifer put special consideration into creating dishes that were appealing and palatable, with each nutritious meal designed to appeal to today's foodie, without overly complex instructions. The outcome is a top-notch recipe book that makes dietary changes so manageable, "that readers won't hesitate to start addressing weight and diabetes-related issues." Regardless, Jennifer notes that sometimes necessary changes are all too often postponed. Benefit from a healthy diet, without sacrificing flavor. In today's world, diet faux pas are no secret. Society is more educated now than ever on identifying harmful dietary choices, yet cutting down on favorites like dessert, processed food, fast-food, and take-out poses a great challenge to a culture that's acclimated to unhealthy preferences. In fact, nearly 86 million Americans suffer from pre-diabetes, a startling statistic and as Jennifer puts it, the body's "courtesy call to wake up and take action." Pre-diabetes has the potential to turn into Type 2 Diabetes, a disease with irreversible effects. Even more shocking, 9 out of 10 people that have this precondition are completely unaware of it. 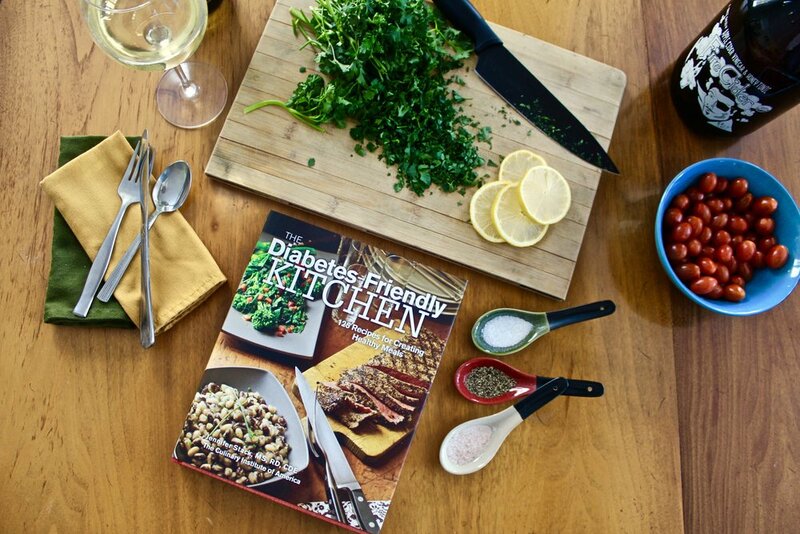 Jennifer's mission with the 'Diabetes-Friendly Kitchen' is to "...guide readers to create meals that nobody would know are diabetes friendly, and ultimately respect a love of food." Because diabetes is a progressive disease, introducing medication, dietary changes, and increased physical activity as soon as possible can help evade or postpone future health complications and an insulin regimen, in addition to maintaining physical longevity. A common misconception that surrounds restructured habits is that weight loss is the greatest indicator reflective of progress, but Jennifer defers, it's simply not the case. She further clarifies that "A lot of people don't lose weight as easily as commercial diet plans suggest... people that struggle with chronic weight problems may only lose one pound a month but their metabolic health is improving because of better food choices and being more active." And according to Jennifer, that's perfectly fine. Crucial progress linked to preventing major conditions like heart disease and diabetes is connected to improving gut health and limiting belly fat; at the core of both is a nutritional diet. Some people may turn to fad diets or 'cleanses' to quickly garner results, but ultimately maintaining healthy lifestyle changes are what truly lead to long-term benefits. Jennifer believes it's critical for clients to expand the definition of what success is, because simply losing pounds may not improve metabolic health. The 'Diabetes-Friendly Kitchen' is designed for people challenged by pre-diabetes, Type 2 Diabetes or for anyone who wants to lose weight and improve their health. All 125 of the delicious recipes keep busy moms, working families and culinary connoisseurs in mind. If you'd like to learn more about Jennifer and her work, visit her webpage at http://jstackchefrd.com. With the holidays fast approaching, the holiday spirit is usually accompanied by batches of cookies, grandma's famous pies and decadent cakes. It's a wonderful time of year to indulge in some of your favorite traditions and holiday treats. But, why wait until the new year to commit to a healthy and fun new regimen? There's no better time to plan your healthy exercise routine than now. Here are a few places we suggest for you to get a head start on your new year's resolutions. After sitting down for an interview with Fighting Spirit Karate Studio's owner, Sean Schenker, I was able to learn a little more about the studio and it's offerings for children, adults and seniors, alike. Sean has been proficient in Karate since he was 5 years old and nearly 40 years later, has come full circle with an award-winning studio of his own. With six years of incredible success under its belt, Fighting Spirit Karate Studio has ventured into its seventh year in Gardiner, NY. Sean explains that the dedication to the students and expertise of the teachers really shine through and sets Fighting Spirit apart from other studios. And after being named this year as the Best Karate Studio by Hudson Valley Magazine's readership, that makes them a four-time "Best of Hudson Valley" award winner. Making the move from New Paltz to Gardiner was spurred after existing at maximum capacity for five years in a row. Sean explains that the "younger students were forced to choose between sports in New Paltz; now we have unrestricted space and the staff to take it on." Some of the perks? The new, local studio has access to a huge outdoor space for training, bussing for local school districts, and nearly unlimited room for students in each class. Fighting Spirit offers several different disciplines and courses for it's students. Among them is Brazilian Jiu Jitsu, Muay Thai, Aerobic Kickboxing, Cardio Classes, Strength Training and Morning Fitness Classes. Sean goes on to say that they have classes for "people interested in fitness that don’t want to have anything to do with martial arts." A class picking up in popularity is their Krav Maga; a course on self-defense. The instructor, Katie Murphy, is a nine-time world champion who focuses on the Israeli defense system that highlights rapid response, particularly for women. They even offer classes for parents and children to train together. Sean encourages locals to stop in and say hi and discover what classes would be best for them. To learn more about Fighting Spirit Karate Studio and class scheduling, visit their website here. A studio once home to "Got Rhythm?," Take the Leap Dance Studio has been transformed and revitalized into a new dance studio by dedicated dance mother, Mary Alexander. When Mary learned that "Got Rhythm" was coming to a close, she explains that keeping the dance studio open was as important to her as it was to her daughter. Mary, who has been involved in her daughter's dancing endeavors for more than 10 years, explains the newfound transition to be somewhat normal. After participating for so long, she feels that "it was so much a part of who [my daughter] was, that like a soccer mom becomes a coach, I sort of jumped in. I’m learning a lot as the owner of the studio now and looking at at from a fresh perspective." Take The Leap Dance Studio offers classes for all ages starting at age three, with the oldest dancer in his 70's. The studio boasts talented dance instructors and students that attend classes from all over the county with bussing provided by all New Paltz Central School Districts. If you don't know much about dancing, Mary encourages new students to join in on the practice. With classes available for all levels, the studio is host to beginner and advanced courses. Take the Leap boasts an impressive variety of classes, from ballet & point, tap and jazz to contemporary, lyrical and hip-hop. Classes for younger students typically have an earlier time slot and as students get older, courses run later at night. For more information about Take the Leap Dance Studio classes, pricing and upcoming events, visit their website here. What was previously a canvas clothing shop has been transformed into an airy yoga studio that sits at the base of the rolling Shawangunk Mountain Ridge, claiming one of the best views in the Hudson Valley. Rooted in the foundation to "come as you are", Stone Wave Yoga encourages students to join in their approachable and community-oriented classes; this includes children, adults and seniors. Liz Glover Wilson explains that Stone Wave Yoga Studio was inspired by Millbrook Cliff, "a breaking wave of power, strength and fluidity. Like stone, we seek strength and stability and yet - like a breaking wave, we remain agile and flexible; allowing for deeper growth and openness to beautiful change." Liz has designed an environment and experience that welcomes people of all ages, genders, and religions, encouraging newcomers unsure of the practice. Stone Wave Yoga offers beginner classes, core building, restorative, sculpting and more. The studio also features several series throughout the month such as sound healing, Reiki and Tai Chi. An added bonus for new mommies? There are prenatal classes as well as childcare offered at select classes for just $5 bucks. The studio is even open for private bookings and customized retreats. To learn more about Stone Wave Yoga Studio, visit their website here. Every year, Hudson Valley Magazine carefully ranks local businesses that wow their audience for their annual 'Best of Hudson Valley' awards. From readers' votes, to editors' sips and samplings, the 'Best of Hudson Valley' has given businesses the honor of becoming a certified Hudson Valley favorite, for over 30 years. And this year, Gardiner has not one, but FIVE big winners to represent our blossoming town. Below are Hudson Valley Magazine reader's choice and editor's picks for Gardiner's best. This year, Whitecliff Vineyard has claimed the reader's choice for "Best Winery" of 2017; a spot that Millbrook Vineyard had held 17 years in a row prior. Located on Mckinstry Lane with a view of the Shawangunk Ridge, Whitecliff Vineyard boasts a selection of 25 red, white and rosé varietals and blends, many of which, have claimed awards. From small beginnings in 1979, the vineyard sits atop several acres of land now home to over 20 varieties of grapes. Yancey explains that "We set out to help put the Hudson Valley on the 'wine map.' Today, we have one of the region's largest vineyards and have brought the best white in show award home from the San Francisco International Wine Competition in addition to our Hudson Valley Award Winner, the Vidal Blanc." We suggest stopping in to the winery to enjoy beautiful views, great company and exceptional wine. To learn more about their tastings, visit their website here. The walled-in kitchen and the adjacent small dining room made the first floor in a house in Highland, NY feel small, cramped and dated. McMahon's Home Improvement of Gardiner, NY was contacted by the homeowners through McMahon's Home Improvement Forum on facebook. The homeowners knew they wanted walls to come down and that they had a budget. McMahon's Contracting brings more than 26 years of home remodeling and general contracting experience to the table. Started by Thomas McMahon, McMahon's contracting prides itself on offering thoughtful expertise and a level of diligent care that is unsurpassed by the competition. In fact, they describe themselves as a firm that takes "extreme care to provide everything a property owner needs to make their building/remodeling dreams a reality. From feasibility studies, to design services, to execution of plans, to management of all permits, to expert project management of every facet of the work involved... [they'll] handle your project professionally, from concept to completion." And we think it's no wonder that this specialty contractor has taken this year's Reader's Choice for 'Best Contractor' 2017. To learn more about McMahon's services, visit there website here. Ever walk into a restaurant and feel like you're at a home away from home? Enter Mountain Brauhaus - your rustic, German 'home away from home.' Opened by German settlers and brothers in 1955, what was formerly known as the "Sugar Bowl" has been passed on from one generation to the next and has become a staple in our town of Gardiner. You might even say that it's become a stomping grounds for locals, climbers and out-of-towners to join one another for a pint, good company and a hearty meal. 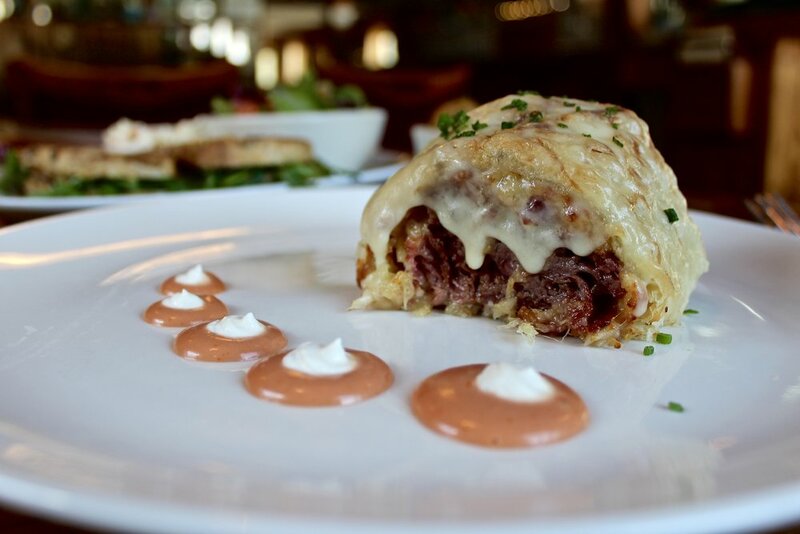 If the line that often finds it's way out the door is any indication, prepare yourself for some seriously delicious German food, (seriously). To view their menu and hours, visit their website here. At Sunflower Art Studios, there is a commitment to bringing visibility and accessibility to the arts without economic division. As Liz Glover Wilson explains, "We believe that all citizens should have access to the arts. We believe art should be fun and allow individual expression. We believe that art brings a community together." Throughout the year, Sunflower Art Studios offers several art programs designed with purpose for young children as well as fun projects for adults. This special non-profit also offers multiple fundraising opportunities to benefit the community, including the well-known Sunflower Art Festival of 2015 and 2016. In addition to the K-6 after school programs, the Studio offers it's space for kids birthday parties, sip and paints, and pop-up shops throughout the year. To learn more about Sunflower Art Studios' mission, visit their website here. Both the bar and kitchen at the Gardiner Liquid Mercantile emphasize homemade spirits and ‘nosh’, craft preparation and local products. In fact, much of the herbs utilized in the tavern’s cocktails and fare grow in the restaurant’s backyard garden cultivated by Executive Chef, Patricia Lowden. Likewise, the bar and tavern headed by Zoli Rozen claims it’s own house-made commodities comprising of shrubs, syrups, Liqueurs and Eau de Vies. And while the handcrafted cocktails steal the show, the Mercantile storefront sells locally crafted spirits, wines, ciders and elixirs unique to the Hudson Valley that are available daily. So whether you’re looking for great company, are in the mood for a handcrafted, mouthwatering cocktail or are seeking some of the most delicious eats in the area, we've got just the place in mind. To learn more about this farm bar, visit their website here. To learn more about Gardiner and it's businesses, check out our Visit Tab and peruse our offerings. A popular saying indicates that behind every successful man is a strong woman. Yet, in today's day and age, more and more women are making their mark in the workforce, on the home front, and in history books - without having to stand behind someone else's success. This article is dedicated to the influential women of Gardiner that somehow, do it all with ease, and then some. Jaynie Aristeo is a force to be reckoned with. A woman who wears many hats, she's been highly involved in the town of Gardiner since she moved here in 1997. Originally trekking from Pennsylvania, Jaynie discovered her love for this area after her first skydive at Skydive the Ranch in 1992; weekly skydives and camping trips spurred the big move just five years later. And although the relocation was planned, Jaynie recalls moving here as a huge risk, explaining that in Pennsylvania "I was in customer service for manufacturing and the problem was, up here, they don't make stuff - they grow stuff." It became a time to completely re-invent herself and fortunately, she was approached by a local broker who offered her a job in the real estate field. 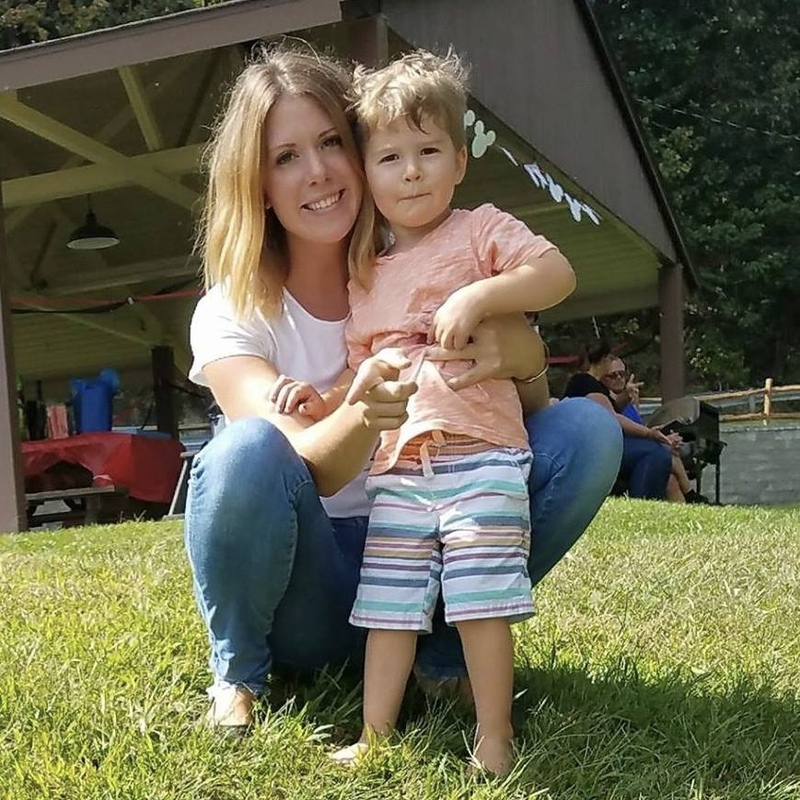 After earning her real estate license and soon after, becoming a mother, Jaynie began Ridgeline Realty and discovered the value of working from home. She hit the ground running and has been heading her firm single-handedly since. For nearly 20 years, Jaynie explains, "I've been a force of one, and taken care of everything myself. I like it that way because I can give my clients the most personalized service; it's a labor of love." And she truly is a force. In addition to owning a successful real-estate firm, Jaynie has been involved in the Gardiner Day Committee for over 10 years, heading countless fundraising events and projects, and a part of Parks and Recreation for nine. She's successfully taken on Gardiner by storm and we can't help but look forward to the weather to come. After a short interview with Malinda Treglia, a Jill of many trades, I'm beginning to think the phrase "How does she do it?" was modeled after her lifestyle. Malinda recently celebrated her one-year anniversary with her Allstate Insurance Agency on Main Street Gardiner, a feat she's made look easy. However, her path leading to the agency has been anything but: paved with hard work, dedication and perseverance. Malinda explained that when she took over the agency, the offer from her boss was a surprise, but ultimately, she explains that "I knew what I wanted from the universe, and I harnessed it." She had been with the agency in sales for less than a year and she made the transition in record time; what was usually a three-month process, was consolidated into 30 days. She goes on to further explain that "When I started this firm, I had that 'aha' moment; it was my thing." 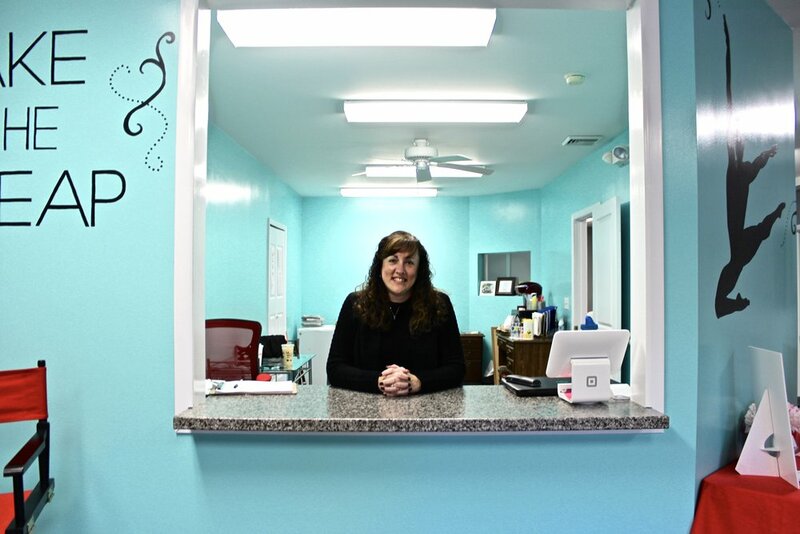 An independent mother of two growing children, Malinda not only assists the staff at her Allstate Agency, she trains exercise enthusiasts three days a week as a certified Crossfit Instructor, sells organic skincare products locally, and immerses herself as a support to the local community. 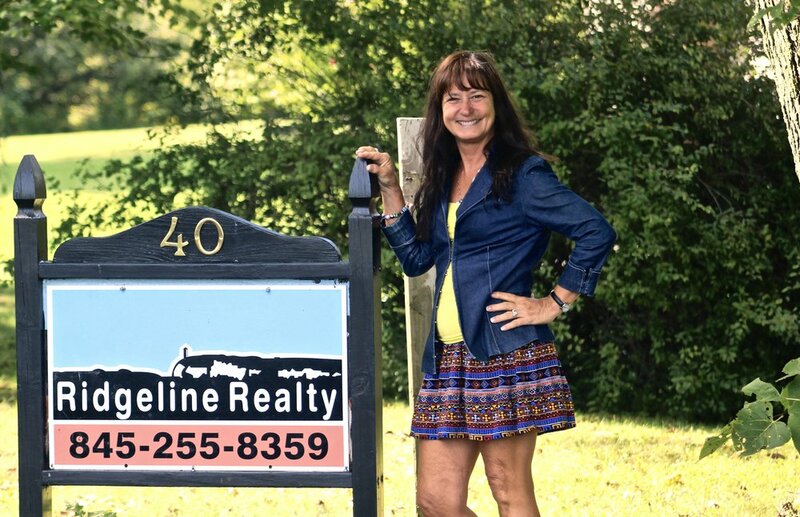 We're happy to have this go-getter, insurance mavin in our town and can rest assured knowing that one thing's for sure; with Malinda Treglia around, Gardiner's in good hands. 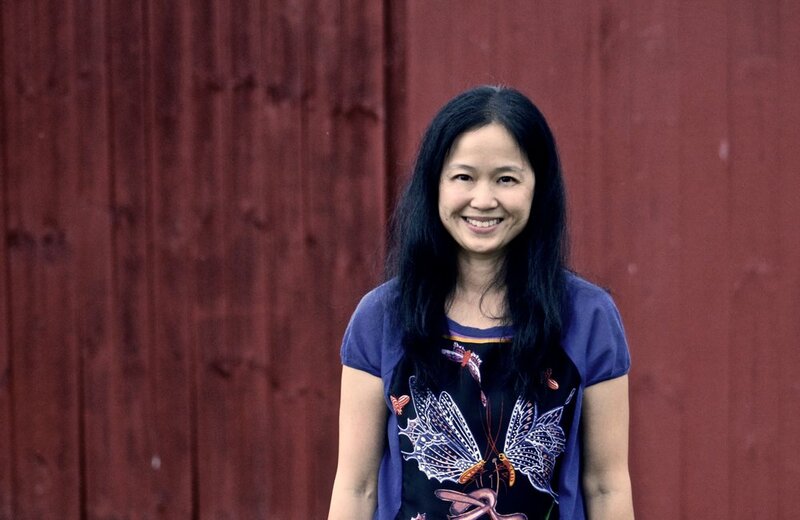 Amy Tung has done her fair share of exploration before coming back to her hometown roots in upstate New York. Traveling a span of several cities along the east coast, Amy would first discover her passion for cuisine in New York. While working in a number of different fields, Amy found that in her 13-year span spent in New York City, she grew "fond of being able to dine out and enjoy the 'New York' lifestyle." Her experience of the city culture would eventually spur her decision to enter into Culinary School; a venture that at first, simply took over her evenings. Amy's decision to pursue her hobby quickly became a propellant that would change the course of her career. Once Tung cut ties with her city trade, she moved back to the area and studied under Agnes Devereux, a renowned chef heading The Village Tea Room. But, Amy found that after becoming a mom, restaurant hours became unrealistic and she sought out a direction that would work seamlessly with motherhood. The seeds for Valley Home Dining were sown shortly after and Amy Tung would open her boutique catering service designed for any occasion. Amy explains that while she enjoyed the fast-paced restaurant industry, she prefers "...being a personal chef and petit-caterer; I get to see instant gratification and see the guests immediate reaction to what I've prepared. For me that’s the icing on the cake." In addition to running her own business, Amy is a member of Hudson Valley Women in Business and committee member of Wisdom of Women, two groups fostering resources and support for women in the area. As Amy continues to grow in the community and in her career, we look forward to what she'll bring to the table next. Gardiner is incredibly fortunate to have a vast array of strong women to set an example for our young girls and boys. Although, you're never too old to be inspired and we hope these incredible women have given you a little inspiration of your own today. To learn more about the fantastic businesses of Gardiner, visit our business listings here. Being a parent and caretaker in the Hudson Valley is a very special thing. This place we call home is chalk-full of recreation, campgrounds, trails, parks, and kid-friendly activities galore. Still, with the hustle and bustle of every day life, it's easy to forget offerings that are just around the corner in our unique town of Gardiner, NY. In this issue, we've outlined a few ways to explore with your little ones, summer and beyond. Owned by a family trio native to Gardiner NY, Lucky Bug Clothing is an organic clothing line made with 100% certified bamboo viscose jersey fabric. And as a luxuriously soft material, the bamboo textile is safe and breathable for babies and toddlers, alike. The Hayes family puts special emphasis on the business having a small environmental footprint and ethically-produced products. In fact, the company boasts all clothing to be "soft, stylish, sustainable and sweatshop-free," with all of their employees as people they know. To learn more about Lucky Bug's fun and affordable designs, click here. Minky and Sweet is a baby boutique featuring handmade baby items useful for everyday life, brought to you by Shannon Oetzel. Her products are stylish and unique with a focus on functionality. Why Minky? Shannon uses high-quality minky in all of her pieces and finds that the difference in softness and durability is remarkable. The line consists of hand crafted baby blankets, bibs, burp cloths, pacifier clips, fabric teethers, wash cloths, loveys and more. She has worked to make a baby line full of fun prints and functional designs and creates everything herself with attention to detail. To learn more about Minky and Sweet and to shop products, click here. It's hard to remember a time when what we put on our skin, didn't matter. Especially since Kiss My Face has made it a point to create safe, natural, and cruelty-free products for over 30 years. With world headquarters in Gardiner NY, we're proud to say that our town is home to such a conscientious business. The company has grown significantly from it's humble beginnings and its products are now distributed in every state and in 19 countries worldwide. 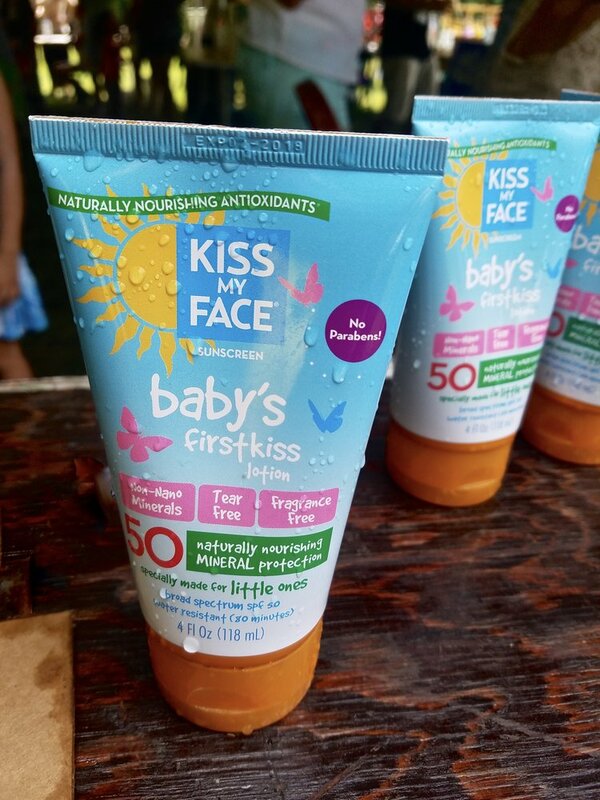 We love Kiss My Face because they've stood behind their original promises; to keep all kisses natural and show consumers why kisses truly are the best way to make it better. Visit their website here to learn more about their products! What began as a fun experiment for a friend's bachelorette party has quickly turned into an organic skincare venture by a brother and sister duo. Jennifer and Michael have created the perfect organic bug spray formula using fine herbs and essential oils to safely ward off ticks and mosquitos, at any age. Certified Organic means you won't find "deet" in their sprays or any other harmful substances. Found in local stores such as Uptown Attic and The Natural Pet Center. Visit their website here to learn more! Today's libraries are evolving. And unlike movie rental stores like Blockbuster and Hollywood Video, libraries are an ever-growing part of the community that aren't soon-to-be-extinct dinosaurs. A few of the perks at Gardiner Library? Free Wifi, computer access, bestselling books and local authors, community events, CD and DVD rentals, programs for children and adults, access to learning tools like Rosetta Stone, Mohonk Preserve passes, Children's Museum tickets and so much more. The list of just how much Gardiner Library offers our community could be an article in itself. So get out there and start exploring! Visit their website here to learn more. Rooted in the foundation to "come as you are," instructors encourage students to join in their approachable and fun classes; this includes children and seniors, alike. In fact, Liz Glover Wilson of Stone Wave Yoga has designed an environment that welcomes people of all ages, genders, and religions, encouraging newcomers unsure of the practice. An added bonus for new mommies? Childcare is offered at select classes for just $5 bucks. Their summer schedule can be viewed here and classes can be found here. 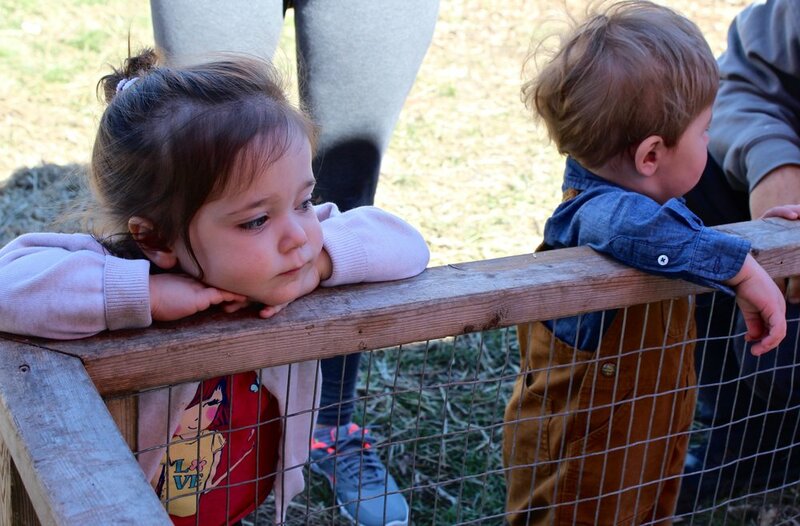 Located on a former Honey-Bee Farm, Goodnow Family Farm is an educational petting farm for children of all ages! As a very community-oriented business, they bring their petting zoo and rides to several large events and festivals in the area throughout the year. Offering hay rides, pony rides, and a small farm shop, the farm welcomes visitors to explore various activities at their leisure. And as the cooler weather rolls around, they offer pumpkin picking and a festival of their own. To learn more about what Goodnow Family Farm can offer, visit their Facebook page here. Gardiner, NY is home to acres upon acres of beautiful farm land and esteemed equestrian facilities. If you haven't seen the rolling hills of pastures with grazing cows and running horses just below the mountains, perhaps you haven't driven through Gardiner. Horseback lessons teach children bonding at an early age and can be a great source of discipline and exercise. Several contests are held throughout the year for horse shows, including those held at the Ulster County Fair. We suggest visiting Lucky C Stables, La Luna Farm and Mountain View Farm to learn more about horseback lessons in Gardiner, NY. We hope we've given you some fun ideas for summer that grow with your little one and support the local community! And parents, try not to blink, because before you know it they'll be all grown-up. 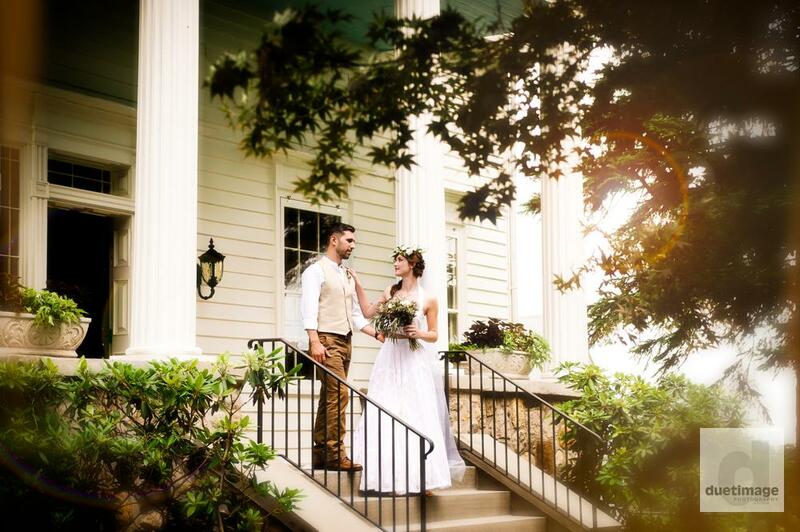 It's a magical time in the Hudson Valley; birds are chirping, nature is dancing and wedding season is in full swing. With breathtaking views, accommodating inns, and talented artisans, it's no wonder that Gardiner, NY has become a hot spot for happy couples. Here's a few reasons why Gardiner has everything you need to make that special day, as special as possible. 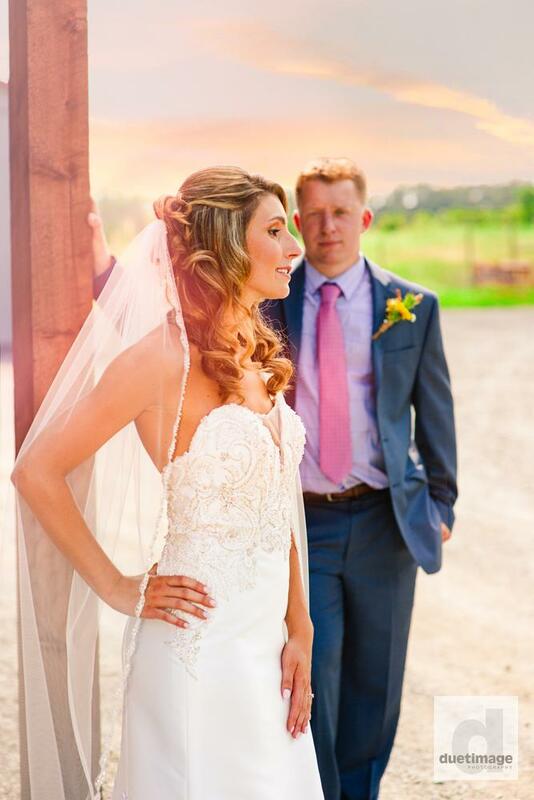 Doug Madden and Regina Gloor are a husband and wife team that specialize in stunning wedding photography in the tri-state area. The corky duo promises to make timeless wedding albums that, as Doug jokes, "may even outlast some marriages." The team offers "bold color, fashion-inspired poses, dramatic lighting, and a flair for cinematic storytelling to capture events in a unique and stunning way," and most certainly, they deliver. In addition to photographing memories that last a lifetime, Doug and Regina have started their own website that serves as a Hudson Valley Wedding guide for brides and grooms 'to-be.' Featuring creative wedding favors, unique gift ideas, eclectic hosts, elaborate dressmakers and everything in between, "A Wedding in the Valley" aims to be a portal for couples that need a how-to, where-to Hudson Valley "guru" for their big day. The blog is growing and currently features some of Gardiner's own fantastic businesses! Gardiner Bed and Breakfasts claim breathtaking views, welcoming hosts, and home-cooked meals. Some people think of a stay at a bed and breakfast when visiting from out-of-town, but we think there's plenty of reasons to host a wedding with a 'host with the most'. Spanning from early Spring to late Autumn, there's no better time to take advantage of the mountainous ranges and breathtaking scenery than during wedding season in the Hudson Valley. Flowers adorn almost every part of a wedding - from boutonnieres and headdresses, to bouquets, centerpieces and petals down the aisle. Flowers add color, texture and elegance to your special day and as flowers are a key component to any wedding, we realize how important it is to find a florist that knows how to emulate your sense of style. With flowers in all shapes, sizes and colors, there is no limit to what can be done with floral creations. Bridal Showers, Rehearsal Dinners, Catering, Oh my! When you think about just how many parties lead up to your big day, it can be overwhelming. Bachelor/bachelorette parties, bridal showers, rehearsal dinners and tastings galore can add up quickly. Thankfully, Gardiner is home to many accommodating eateries, restaurants, and taverns that have outdoor/indoor seating and delicious catering options to put you at ease. Here's a few of our suggestions as the big day approaches. And while you're here... don't forget to check out our local gift shops for some great gift ideas for the bride and groom. Our humble town is full of unique crafters, artists and distillers that boast beautiful gifts to last a lifetime of love. Here's our where-to gift guide for Gardiner, NY. And finally, when looking for the perfect hair stylist for that special day, don't forget to stop in to our favorite stylists in Gardiner, NY. 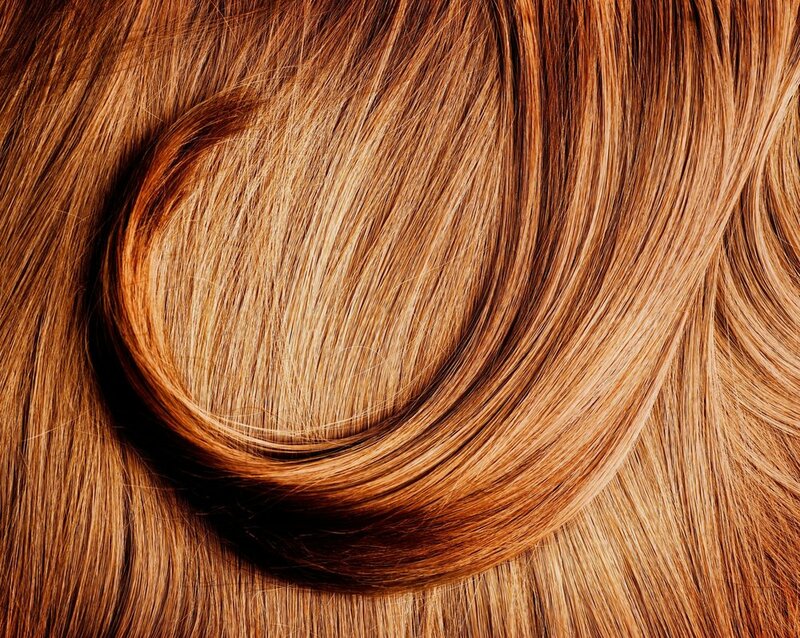 Here's a few places we suggest to add some pizzazz to your 'do'. There's been a call-to-action for exploration in the Hudson Valley. It's become a hot spot that attracts travelers from surrounding states and beyond. And you know what we think? There's no day like today to take the adventure-train to Gardiner, NY. We've outlined a few ways for you to follow the trails and make the most of your adventures this summer. The Shawangunk Wine Trail claims an eighty-mile long stretch of fifteen esteemed wineries between the Shawangunk Mountains and the Hudson River Region, two of which, belong to Gardiner, New York. Whitecliff Vineyard. Located on Mckinstry Lane with a view of the Shawangunk Mountainside, Whitecliff Vineyard boasts a selection of 25 red, white and rose varieties and blends, many of which, have claimed awards. Established in 1979, Whitecliff Vineyard sits atop several acres of land home to over 20 varieties of grapes. Stop in for wine and cheese pairings and breathtaking views! Robibero Winery. Featuring activities that highlight their outdoor fire pit, summer festivals and extensive tasting room, Robibero Winery carries 15 grape varietals found only in the tasting room and featured at several local restaurants and retailers in the area. This year, they encourage you to clink your glass in celebration throughout the summer. Commemorate this Independence Day with "Red, White & Blues" featuring the best of their red and white wines alongside live blues music all weekend long (July 1-4)! And this year marks the sixth year of their "Sangria Festival" with food trucks, LIVE music, and most importantly, sangria all day (July 8+9). Mohonk Preserve. When you visit Mohonk Preserve, you get a taste of the breathtaking beauty that can be found just around the bend, and there's a little something for everyone. Offerings from the preserve include hiking and biking trails, horseback trails, climbing, and a swimming beach/cliff jump (Split Rock). Activities are offered throughout the year and include weekend hikes, mid-week hikes, and seasonal runs. And if you feel like your ready to challenge yourself this summer, you can train on the trails for the "Pfalz Point Trail Challenge;" a 10-mile benefit run in September that raises money for Mohonk Preserve. Wallkill Valley Rail Trail. The Wallkill Valley Rail Trail welcomes hikers, joggers, dog-walkers and bicyclists throughout the year. The trail spans 22 miles of unique bridges, interesting views and stops all along the way, including Gardiner's own Yard Owl Craft Brewery, local orchards, rivers, lakes and streams. The path also connects local villages and towns, including Wallkill, Gardiner, New Paltz, and Kingston. Maintained and protected by the Wallkill Valley Land Trust and The Wallkill Valley Rail Trail Association, visitors are guaranteed clean and safe travels. We hope you've found some ideas to start off your Hudson Valley Bucket List this summer. If you'd like to know more about where to visit in Gardiner NY, find more of our suggestions here. Hudson Valley Wine Market is celebrating its one year anniversary with it's new owner Leonard Gionnatti, and we think this is cause for a toast. What exactly you would like to accompany your toast with, is entirely up to you. Hosting a spirited collection of hand-picked wine, spirits, cordials, cider, cocktail mixers and local products, Hudson Valley Wine Market is a one-stop shop sure to please any customer that graces the store's presence. Stepping into Lenny's boutique is a welcoming experience designed to elevate your spirits, educate your palate and exceed your expectations of a wine and liquor store. Whether you're in Gardiner to shop local products, purchase notable gifts or find approachable wine & spirits (yes- spirits too! ), Hudson Valley Wine Market is there to help every step of the way. Since Leonard has taken over the shop in June of 2016, he's made sure to carefully select each product for it's quality, intricacies and approachability. The shop also features local favorites and well-known name brands. At Hudson Valley Wine Market, they feature classes each month that explore the complexities and nuances of classic pairings, unique finds, and rare discoveries; imploring you to sophisticate your palate and pioneer the world of wine. Class is held at the local eatery, tavern and bar, Gardiner Liquid Mercantile, and each intimate workshop brings something new to the table. Can't make the class? They also offer weekly tastings and daily specials at the shop. The value is simple, really; support your local wine and spirits shop, support your palate. Lenny assures shoppers that his selection at the market offers an ever-growing and always refined collection of wine, spirits and cordials with both affordable options and higher-end selection. You'd be hard pressed to not find what you're looking for and then some, but in the case that you can't? Lenny, Nick and Sue are always open to a chat about your favorite products and why they should be featured at the shop. In fact, the Hudson Valley Wine Market crew are open to a friendly chat regardless and encourage you to stop in for a taste, a chat, and a laugh. You might even find yourself walking out with your new favorite bottle, lifted spirits and some new friends. The Craft Market Walk kicks off its first annual appearance on Saturday, June 3rd from 12:30PM-4:30PM, the walk begins at the Gardiner Library, connects to the Farmer’s Market space on main street, spans the Wallkill Valley Rail Trail, and finishes at Yard Owl Craft Brewery. And just what does the Craft Market Walk have in store? There will be crafts, there will be music, and hopefully, there will be a walking, dance-shoes-wearing, get-your-shop-on, you. Craft. The Craft Market Walk is about celebrating Gardiner’s talented artisans, honoring the unique flair they bring to our town and giving back to the community. An idea that developed to commemorate the unique vibe of our village, the Craft Market Walk features woodworkers, designers, and hairstylists, builders, bakers and brewers. In fact, the lineup of local craftsmen and women is sure to create quite a buzz in our growing community. Market. The Market stop of the Craft Market Walk is a farm emporium, featuring locally made and packaged items such as jams, hot sauce, syrups, cookies and more. Dedicated to local farmers, bakers and marmateers, this part of the walk highlights packaged items that visitors may find in a farmer’s market. And if you’re watching your calories, don’t worry, there will still be plenty of time to walk it off before you make it to your final destination at Yard Owl Craft Brewery where there will be raffles, food, and music, oh my! Walk. The Craft Market Walk invites visitors to grab a cone and walk the rail trail for a cause. Brought to you by Gardiner Association of Businesses (GAB), proceeds from raffles, vendor sales and donations will benefit the likes of St. Jude Children’s Hospital, Gardiner Library and Gardiner Association of Businesses. However, GAB’s mission to give for a cause is not isolated to the Craft Market Walk. This year, with donations from local businesses and GAB members, the Association has made it a priority to give back to the community each month; a gesture that benefits Gardiner and beyond. Craft Market Walkers are invited to stay the whole day in Gardiner and explore everything the town has to offer, including its fine art. For this, we highly recommend GOST. Take the Fine Artist Tour: GOST. What better way to experience Gardiner than by soaking up the artwork? Enter Gardiner Open Studio Tour (GOST) featuring over 20 fine artists and their notable works and works in progress. These artists have come from from far and wide, from varied backgrounds, and myriad points of origin, and yet have all selectively chosen picturesque Gardiner as both their home and the locale to cultivate their artistic expressions. Their annual studio tour is an invitation to locals and out-of-towners alike to explore the work of these resident artists in their creation spaces. GOST painters, sculptors, ceramicists, textile designers, photographers, and other unique fine artists invite tour-goers into their space to catch a rare glimpse of their process. Featuring a behind the scenes look into the artists’ private studios, GOST will be hosted Saturday and Sunday, June 3rd and 4th, from 11AM-6PM. Make the first weekend in June your day to tour the town and all the hand crafted delicacies and art it has to offer. We hope to see you there! We've come to expect a certain amount of rain once April rolls around. With the rain comes greener pastures, happy farmers, and birds and bees rejoicing all around. And every May, we hope that warmer weather and sunny days follow suit. How you spend those sunny days are entirely up to you, but Kirk Lightsey, who owns and runs Lightsey Cycles in Gardiner, thinks that a scenic bike ride ain't such a bad idea. New Riders and Experienced Cyclists Welcome. Kirk encounters cyclists looking for a leisurely ride on the rail trail, trainees for the Grand Tour and everyone in between. The point being? Anyone can ride and there's a bike that's specifically tailored for the cyclist in you. Kirk explains, "It’s fun because when people walk into a bike shop, they’re not buying a bike because they have to. They walk in because they’re interested in the benefits of biking; and that’s where I come in." Kirk also happens to dish out advice and recommends trails to first-time and out-of-town cyclers; an added bonus to your experience at Lightsey Cycles. And what better place to ride than in Gardiner, NY? The mountains are calling your name, and whether you choose to ride on those mountains or tour the open road, there's a bike for that. A bike shop is not just about purchasing brand new products, and Lightsey is no stranger to repairs on bikes of all shapes and sizes. How does one learn to repair bicycles, you ask? With 30+ years of commuting, scenic and competitive riding under his belt, Lightsey's learned a thing or two about repairs. Old bikes, new bikes, all bikes welcome; he'll do his best to return your beloved bike to "like-new" condition. And he seems to appreciate the daily challenge, explaining "I worked in maintenance for years and wanted to do something that I actually enjoyed; that’s why I opened a bike shop." With an over ten year tenure in our town of Gardiner doing what he loves, by George! we think he's on to something. Want to look like a professional bicyclist? Or like someone who exercises in general? If you like to exercise or not, Lightsey Cycles has you covered. With apparel designed for agility in addition to your basic tee, you can represent local in whatever way you please. Plus, Lightsey sells extras that you might not expect, like: skate boards, water bottles, climbing gear and more. So, the next time you think about going for a bike ride, or learning a new hobby, or repping outerwear from a local shop, stop in and say hello to Kirk, he'd be happy to help.